Hey everyone! I’m so incredibly excited to be a part of the special Spencer Hill Contemporary Double Cover reveal for Tierney Fowler’s The Lifestyles of the Rich and (In)famous (August 19, 2014) and Brenda St. John Brown’s Swimming to Tokyo (July 28, 2014)! So, first up, The Lifestyles of the Rich and (In)famous! Are you ready for it??? Nyx Carrington, notorious for her red lipstick and over-the-top personality, has just snagged the dreamiest A-Lister in Manhattan. Tristan Halifax, a gorgeous, arrogant man with a penchant for beautiful women, could be Nyx’s chance at true love. After her last disastrous relationship with her not-so-dream guy, the brooding Crashbang bassist, AJ Abbott, Nyx is ready for a new start. Overnight, Nyx’s relationship status with Tristan turns her into America’s Sweetheart—complete with scandalizing parties, new friendships with Manhattan’s Golden Boys, and unending photographers. It’s the perfect moment in the spotlight with Tristan—or it would be if AJ would stop writing chart topping love songs dedicated to her red lipstick. When AJ crashes back into her life declaring that wants to reignite their high school romance, Nyx’s love life gets complicated. And when the press hears about problems with the “it” couple, they turn on Nyx—jeopardizing her relationship with Tristan, ruining her reputation, and discovering her old skeletons. Nyx’s newfound fame as America’s Sweetheart may leave her brokenhearted. Celebrities are supposed to have it all, but having it all could mean losing everything that used to matter. 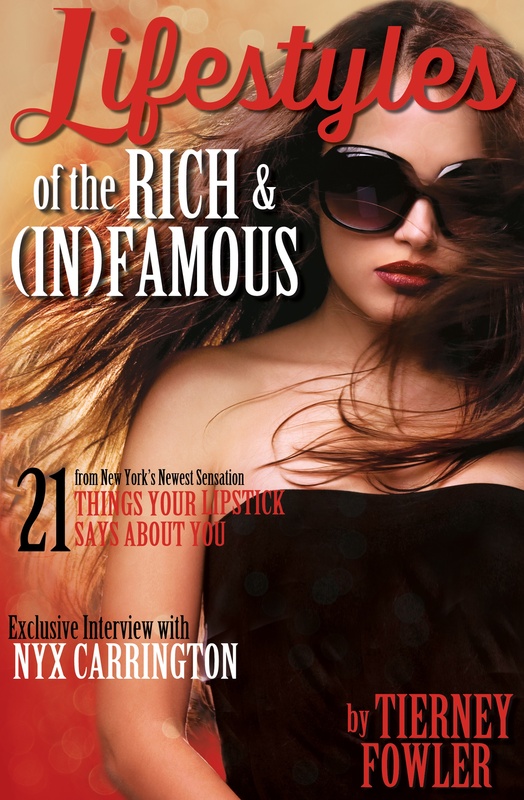 Learn more about Lifestyles of the Rich and (In)famous on Goodreads! Next, Swimming to Tokyo! Are you ready for it??? Learn more about Swimming to Tokyo on Goodreads!